In stock. Order in the next 14 hours, 9 minutes and it will go out today! 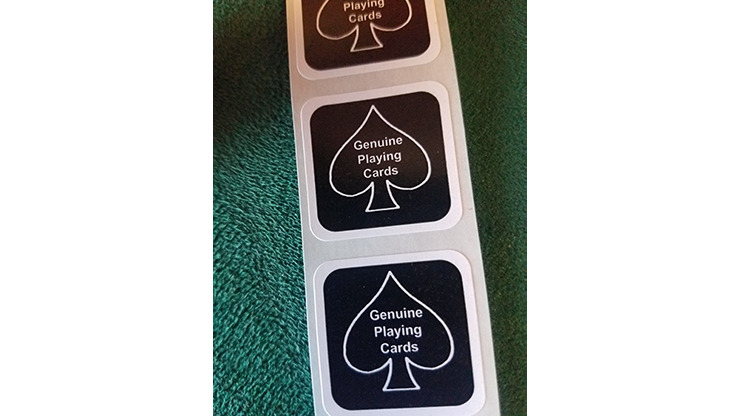 The perfect way to make that opened deck look brand new, it's a pack of 100 Black New Deck Stickers. Printed in the USA, these are perfect for resealing your special deck, whether gaffed, Invisible, or stacked. Order yours today!